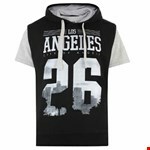 KAM Short Sleeve Tee Short Hoody with LA print. 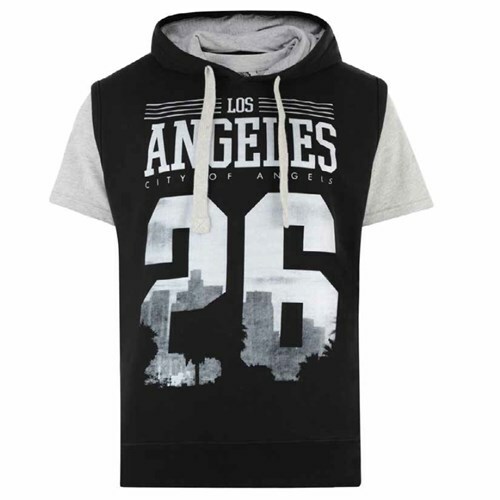 Over the head style hoody with lower pouch style pocket. Includes crew neck s/s tee shirt. Loose welt hem for comfort, brushed lining for warmth.